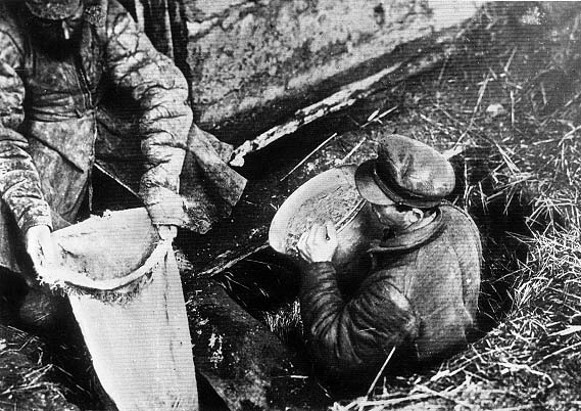 By the end of 1932 Moscow's food-collection plan, which far exceeded the actual harvest, was 72 percent fulfilled. The food-collection plan for 1932–3 was based on the total area of land that was to be seeded. In reality, less land was seeded than planned, and even less produced the expected crops. Consequently the rural population was left without any means of sustenance, yet the authorities did not organize any supplies to feed the villagers. 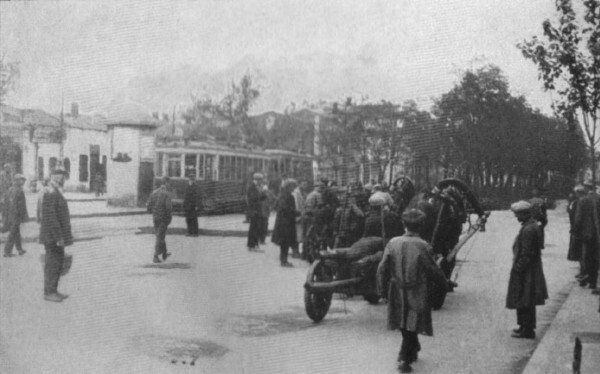 The Holodomor affected almost all parts of interwar Soviet Ukraine, but it grew to massive proportions in the areas stretching from the Kyiv to Kharkiv regions. It also occurred in the territories bordering on the Ukrainian SSR that were populated mostly by Ukrainians, such as the Kuban and the Don region. Only an insignificant part of the population—the privileged rural Communist functionaries, who were served by a special distribution system—did not experience hunger. Urban inhabitants and industrial regions suffered less, because they received food rations. But the peasants were forced to try to survive on various food surrogates. Consequently mass starvation and disease became rampant, and occurrences of cannibalism were reported. Whoever had the strength fled to the cities, to the industrial Donets Basin, or to Russia in search of food. Peasants who were caught were repressed or returned to their starving villages, where the vast majority perished alongside those who had been too weak or ill to attempt escape. 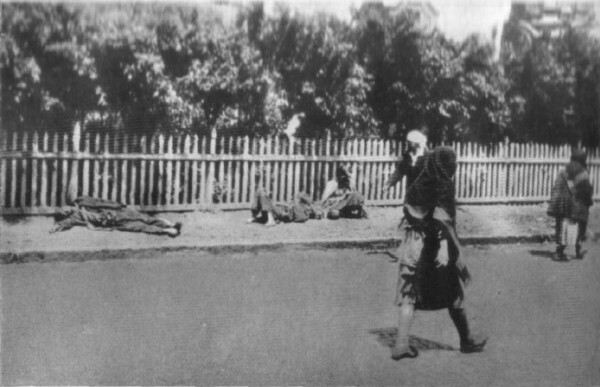 The Holodomor caused an extremely high mortality rate; in some regions it reached 20 to 25 percent of the population. 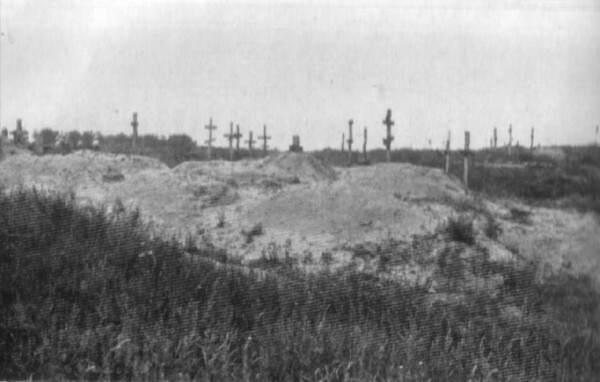 Some villages in Poltava oblast, Kharkiv oblast, and Kyiv oblast were completely deserted by the spring of 1933. Most of their inhabitants perished, but some did manage to escape. In the fall of 1933 the Soviet regime began resettling those villages with Russian peasants, but the majority of them returned home within a year and were replaced by Ukrainians. Throughout the Soviet Ukrainian countryside agricultural work was barely noticeable. During the spring of 1933 armed detachments protected the state-assigned seed for sowing, and those peasants who were well enough to work the land received minimal rations. Only the first fruits and vegetables of the summer saved those who had managed to survive. But the mass effects of starvation, disease and accelerated mortality, and a falling birthrate became apparent for many years. The fact that the 1937 Soviet census was officially declared invalid and not released suggests that its results indicated a catastrophic population decline as a consequence of the Holodomor. The estimates of the number of how many peasants died during the Holodomor vary widely. At the high end the figure of ten million deaths has been cited, mostly by President Viktor Yushchenko. For many years seven million deaths was the number commonly used in the West. In the 1950s and 1960s some Western scholars (Dmytro Solovei, Mykola Prykhodko, William H. Chamberlin, and Vasyl I. Hryshko) estimated that there were three million to four million deaths, while Volodymyr Kubijovyč and Clarence Augustus Manning suggest the losses were two million to three million. In the late 1970s the dissident Ukrainian Helsinki Group suggested a maximum figure of six million victims. In 1981 the demographer Sergei Maksudov (pseud of Alexander Babyonyshev) determined that the population loss in Soviet Ukraine was 4.5 million. Subsequently Jacques Vallin et al essentially confirmed Maksudov’s figures with their estimate of 4.6 million deaths. Further refinements to their work have established a figure of 2.6 million deaths caused by ‘exceptional mortality.’ In 2008 the Institute of Demography and Social Research of the NANU established a figure of 4.5 million deaths: 3.4 million victims of exceptional mortality and 1.1 million non-births. 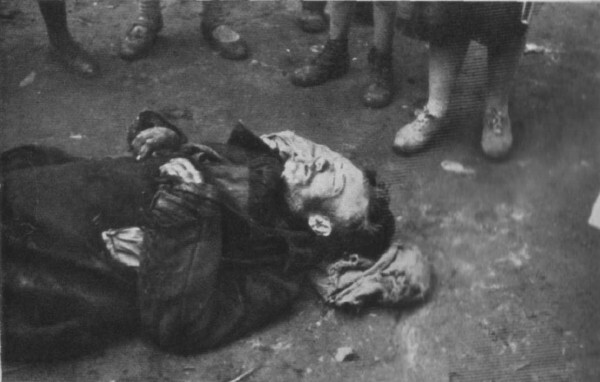 Today there is no doubt that Joseph Stalin and his closest associates planned this great tragedy. Its primary purpose was to break the backbone of the Ukrainian nation by destroying ‘the kulaks as a class,’ ie, all peasants who resisted the regime, including those who had already joined collective farms. In fact, the Holodomor was directed at the peasantry as a whole, which the Bolsheviks saw as the rank and file of the Ukrainian nationalist movement. The famine-genocide was accompanied by a massive campaign to suppress Ukrainian culture, managed by Pavel Postyshev, whom Stalin sent from Moscow to serve as second secretary of the CC CP(B)U. Leading CP(B)U members (Hryhorii Petrovsky, Mykola Skrypnyk, Vlas Chubar) tried to persuade Stalin, Postyshev, and their associates to change their policy and counteract the famine. But their efforts were rebuffed, and they themselves were accused of sabotage. In protest against the widespread atrocities Skrypnyk and Mykola Khvylovy, a prominent writer and publicist, committed suicide. Although the foreign press did publish some information on the famine, it did not elicit a significant public response from non-Ukrainians. Indeed, in the 1930s Soviet and Communist propaganda efforts created a widespread belief in the West that life in the USSR was idyllic. Malcolm Muggeridge's foreign-correspondent reports about the famine went unheeded in Great Britain, and many Western governments and correspondents (eg, Walter Duranty of the New York Times) avoided discussing or writing about the famine and sometimes even deliberately denied it. 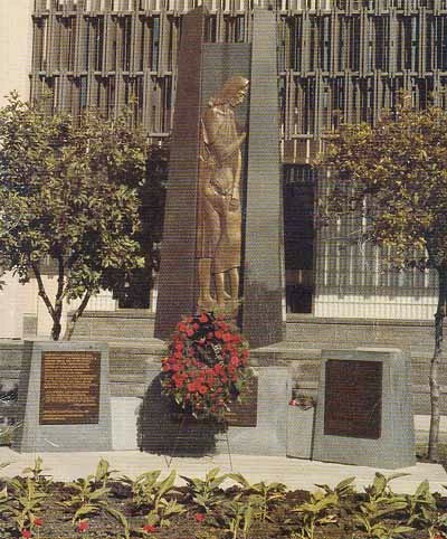 In the postwar years, however, memory of the Holodomor has been kept alive through memorial services and demonstrations sponsored by the Ukrainian community and anti-Communist organizations; in memoirs and scholarly publications written by survivors of the Holodomor and the Stalinist terror and by émigré scholars; and, since the 1980s through an award-winning documentary film (Harvest of Despair), the documentation efforts of the US Commission on the Ukraine Famine, publications by Western scholars (eg, Robert Conquest, James Mace, Roman Serbyn, and Frank Sysyn, to name but four), and academic conferences and lectures at North American and West European universities. 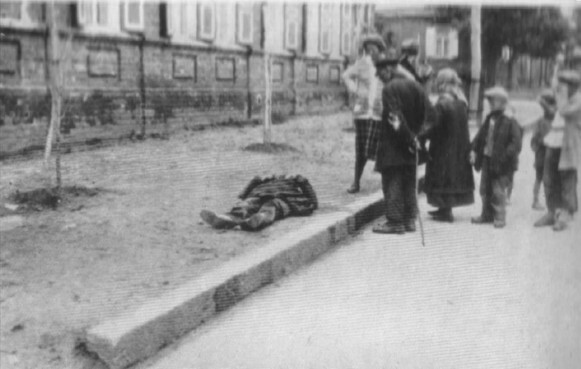 Since the 1990s the independent Ukrainian state, particularly under President Viktor Yushchenko, the Ukrainian mass media and academic institutions, many foreign governments, most Ukrainian scholars, and many foreign scholars have viewed and written about the Holodomor as genocide and issued official declarations and publications to that effect. The Kremlin under presidents Vladimir Putin and Dmitrii Medvedev and the tightly controlled Russian mass media have campaigned strongly against the notion, despite the fact that a great deal of incontrovertible documentary evidence showing that the Holodomor was a planned act of genocide has become available in the post-Soviet era. 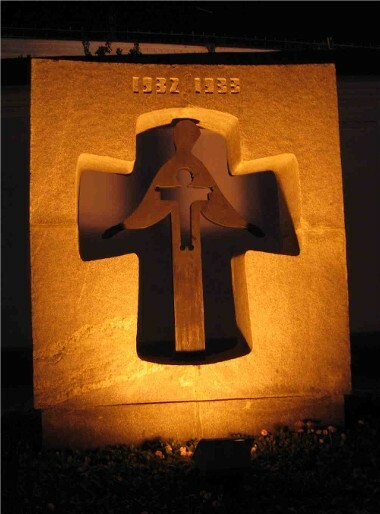 In 2006 the Parliament of Ukraine recognized the Holodomor as an act of genocide by the Soviet regime. Since then the famine’s four to seven million victims have been officially commemorated annually on 28 November.